Some 300 migrants have broken through a fence into a Spanish territory in North Africa, arriving on EU soil with bloodied hands and torn clothes. It comes just three days after 500 others made the same crossing. 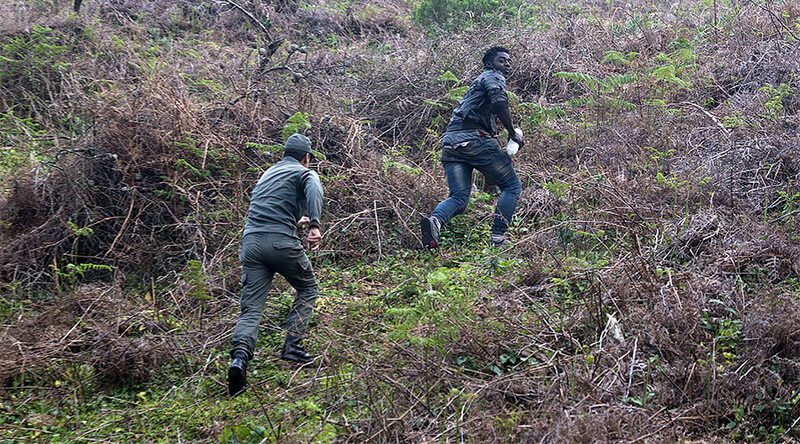 The migrants crossed the border at Ceuta, one of two Spanish territories in North Africa. Once they arrived, many kissed the ground and shouted “Thank you, Lord!” and “Viva España!” according to AFP. Spanish police told AFP that 300 migrants entered Ceuta on Monday, but “double that number tried.” Authorities told Reuters that the migrants used wire cutters and blunt weapons to break into the enclave. Meanwhile, a spokeswoman for the Red Cross put the number at 350 migrants, telling AP that 11 of the sub-Saharan migrants had been sent to hospital to be treated for cuts, bone fractures, and other injuries. Three were reportedly admitted with serious injuries. 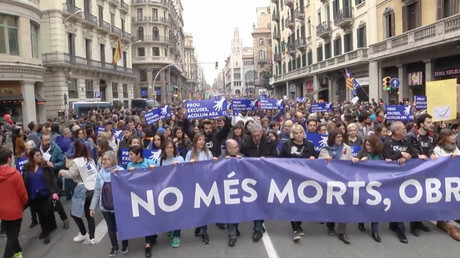 Officials told AP that two agents of the Civil Guard were also hospitalized with bone fractures. The office of the central government's envoy in Ceuta said the migrants made the journey at around 3am local time on Monday morning, crossing a gate which had been damaged last Friday, when more than 500 people smashed their way through. The newest arrivals to Ceuta put the number of migrants waiting to be processed at a local holding center at more than 1,400, authorities told Reuters, adding that tents have been requested to house those who arrived on Monday. The center, known as CETI, is designed to house just 512 people. The migrants must now wait to be transferred to mainland Spain to have their papers processed. From there, most will likely be returned to Morocco or their country of origin. More than 1,100 people also attempted to breach the fence on New Year's Day. Spain’s state security secretary has promised to develop a new protocol to prevent future border crossings. However, Frontex, the European border service, said that only 1,000 people had breached Ceuta and Melilla in 2016 – the lowest number in several years.